Our next guide profile write-up is about the lovely Kelli O’Keefe. If you know her, you’ll know she has a super upbeat, bubbly personality! We have had guests say, “her enthusiasm is contagious”, and that she is “quite the social engineer”. Our guests just love her, and so do we! Kelli grew up in South Dakota, and now finds herself living in McCall, Idaho in her off-season. She was introduced to Northern Arizona and the river industry when attending Northern Arizona University to study Marketing, Parks and Recreation Management and play golf. 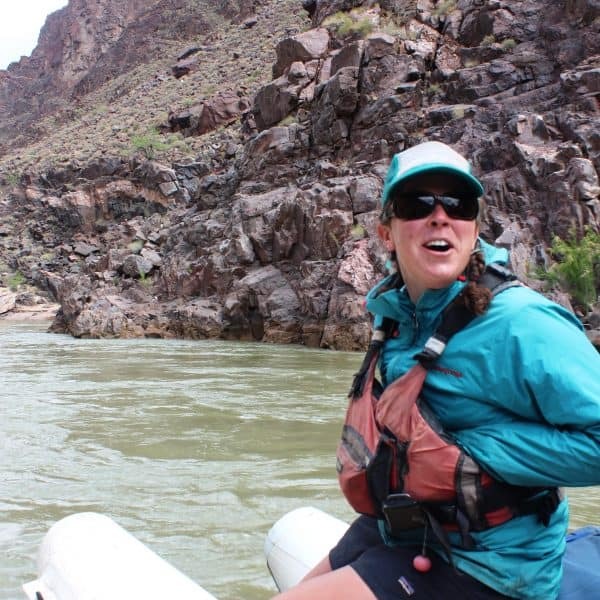 She landed her first job guiding on the Arkansas River in Colorado. Now she’s lucky enough to spend about 7 months of the year guiding river trips around the world. She’s been guiding for 12 years now. She spends her springs and falls guiding with us on the Colorado River, and the summers on the Middle and Main Fork of the Salmon River in Idaho. She also guides on the Daqu River on the Tibetan Plateau in China. Kelli loves to ski, snowboard, bike, hike, play outside, travel, crochet, play guitar and spend time with her nieces and nephews in her downtime. She’s also an extremely talented entrepreneur when it comes to sewing. She recently started her own fleece clothing company called FunHoggin’ Fleecewear, where she makes fun, colorful fleece shorts and skirts to be worn for all sorts of outdoor adventures. You can check her FunHoggin’ Fleecewear company out on Instagram, on her Etsy shop or coming soon on her website. We also asked Kelli what she loves about Grand Canyon and guiding, and she heart-warmingly said, “I absolutely love my job; I love sharing the magic of the canyon with each and every passenger! I love that each trip brings a sense of exploration, adventure and excitement. I love that each trip is totally different. We are constantly working with different crews, meeting new passengers, hiking in different side canyons, and staying in different camps. I love taking people who have never camped or experienced the outdoors before on river trips. It’s so much fun to get people out of their element and open their eyes to the beauty and sublimity of the Grand Canyon. 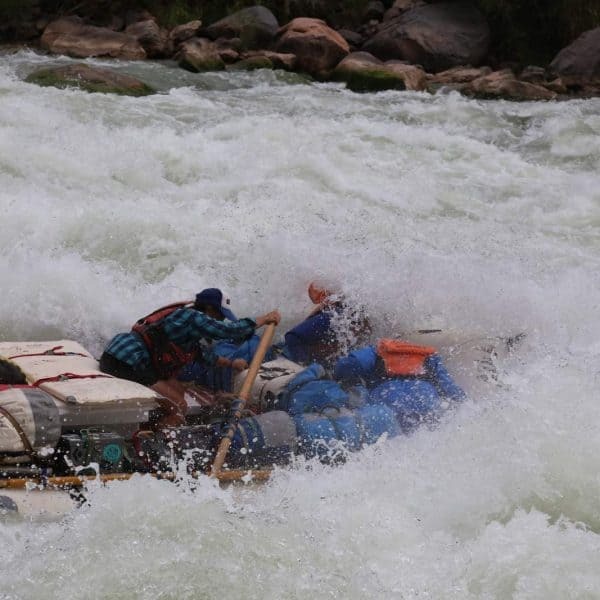 River trips can be life-changing, and there’s nothing more fulfilling as a guide than to see the transformation occur. Her advice to our guests is to remember to drink lots of water, wear sunscreen, take care of your feet, and enjoy the ride. 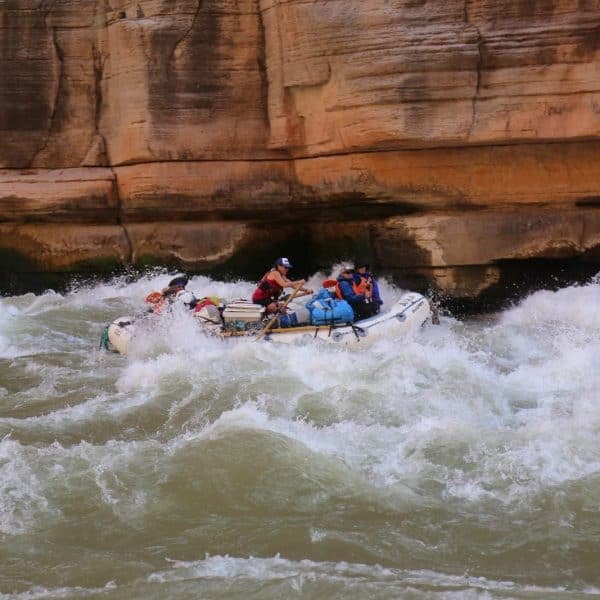 She expressed that rafting down the Colorado River through Grand Canyon is by far the best way to see Grand Canyon in all its glory. We couldn’t agree more! 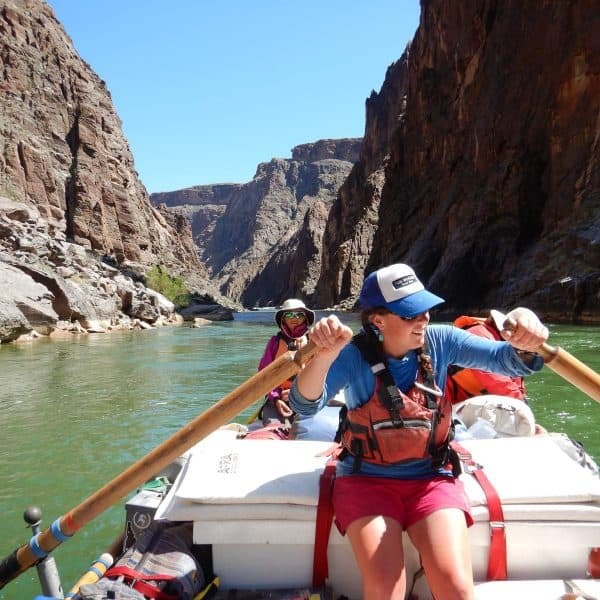 If you can’t wait to get on the river with Kelli or any of our other fabulous guides, contact us soon as we’re almost full for 2019! Or, join our 2020 opening day list and you will be contacted as soon as we’re ready to take reservations for the 2020 river season. Kelli’s smile is infectious and her energy is super positive. I loved seeing that smile every day on our recent trip down the Colorado. Hey Kelly, the Full Canyon Hiker’s Discovery in April was fantastic. Keep living the life you love. I can’t really say what I expected from the experience but all my expectations were exceeded – hell, they were blown away! Thank you and everyone at AzRA for an amazing 16 days. We’re so glad you had such a wonderful experience with us! We have such great guides who care so much for this place we call home, and we love it when our guests leave their trips feeling the same way. Hope we can take you down river again sometime! I so loved having a female boatsman on our river trip and Kelli was awesome.. She has so many talents and would love someday to do a trip up in Idaho with her. It’s so great all the female guides we have here at AzRA! 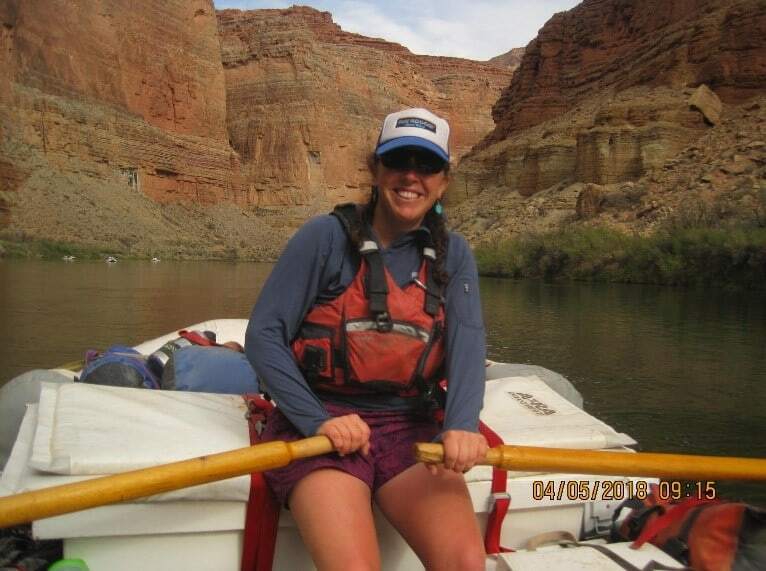 If you’d like to go boating with Kelli in Idaho, we recommend you get in touch with Canyons River Company. They’re our sister company, and who all of our guides who work in Idaho work for them. Great fun! So cool that you used a picture I took of Kelly on the April Hiker’s special. It was a fantastic trip and Kelly ( and all the other guides ) were wonderful to get to know.